The compact differential pressure gauge, model 716.05 with a nominal size of 80 mm, has been specifically designed for measuring points at which differential pressure measurements with low differential pressures take place. In addition, an overload safety of up to 16 bar is guaranteed, on either side. Depending on the accuracy classes of 2.5 % and 4 %, different scale ranges can be specified. Differential pressures of 0 to 16 mbar and 0 to 600 mbar can be measured. 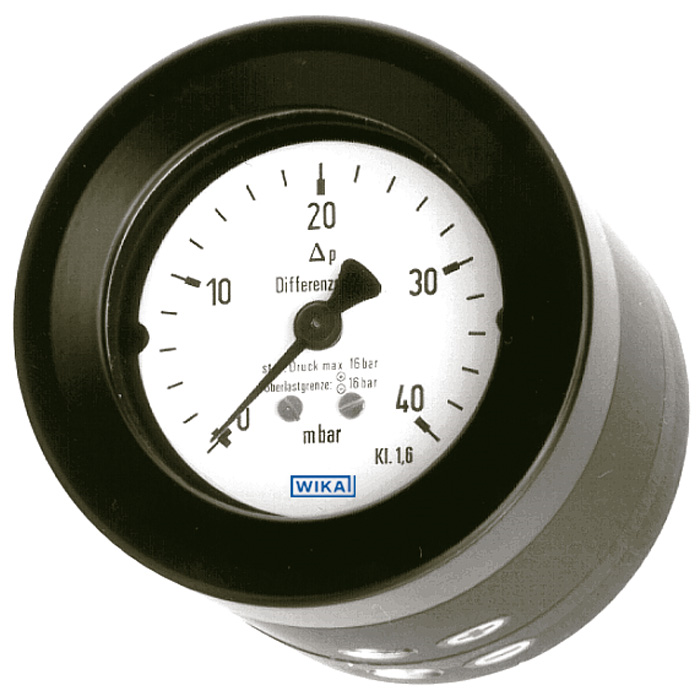 The differential pressure gauge offers a wide variety of connection options, as well as panel mounting, and can therefore be used in many applications for level measurement.